Game without the annoying lag by adding the Archer C5400X AC5400 Wireless Tri-Band Gigabit Router from TP-Link to your gaming arsenal. 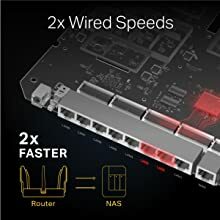 A leading-edge 1.8 GHz 64-bit quad-core CPU, three co-processors and 1 GB RAM work tirelessly at the heart of your network command center while the dynamic optimization engine runs relentlessly to eradicate latency. 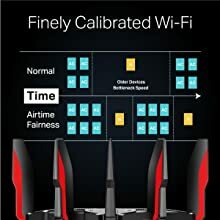 Incredible AC5400 Wi-Fi with MU-MIMO and Airtime Fairness serves every connection with speed and precision to maximize throughput and response rates. 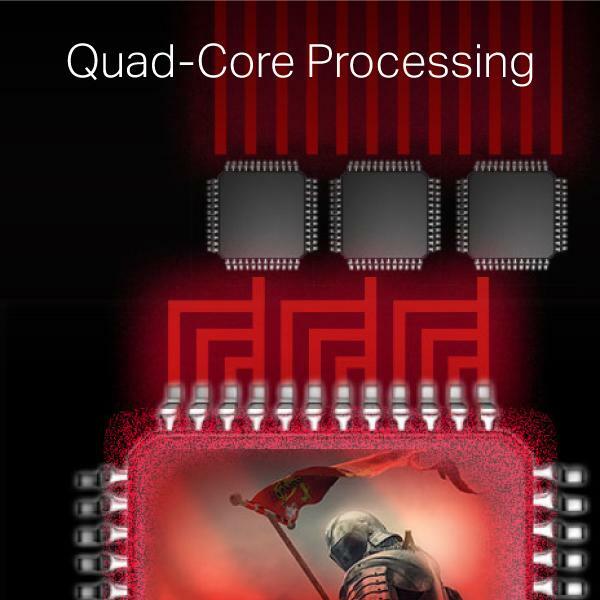 Quad-core means power. A leading-edge 1.8 GHz 64-bit quad-core CPU, three co-processors and 1 GB RAM work tirelessly at the heart of your network command center to deliver the power you need to frag with confidence. While the three co-processors balance Wi-Fi demand, the quad-core CPU executes every service, thread and application to accelerate loading and deliver smooth gameplay. 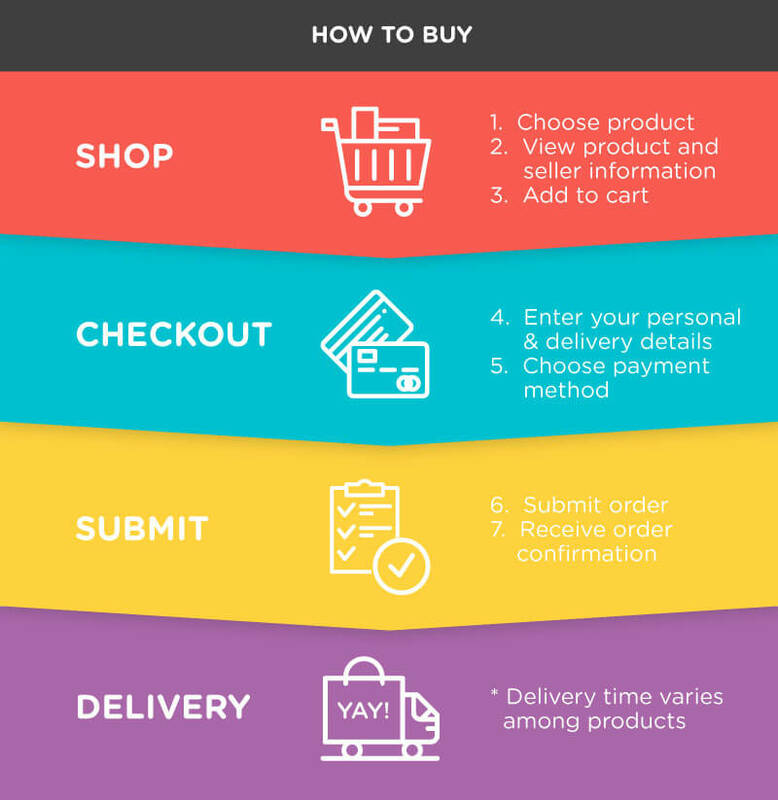 The dynamic optimization engine runs relentlessly to identify traffic, optimize throughput and eradicate latency for a premium quality of service according to standard presets or custom settings. 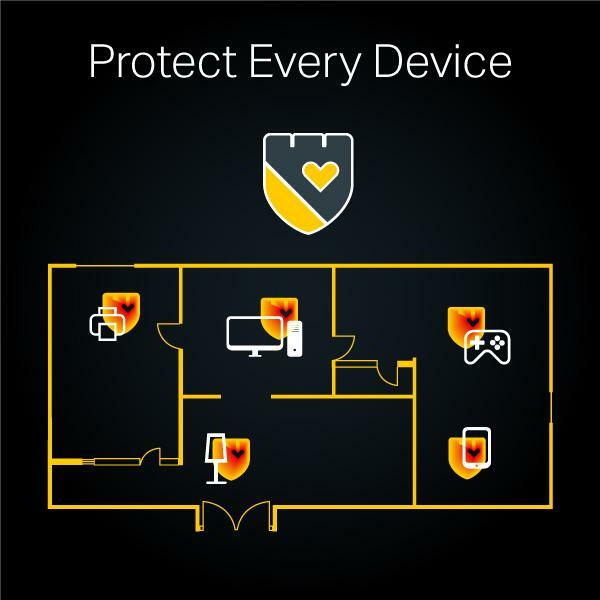 Prioritize gaming above all other activities for a tactical advantage during heated raids, PvP encounters and ranked matches. 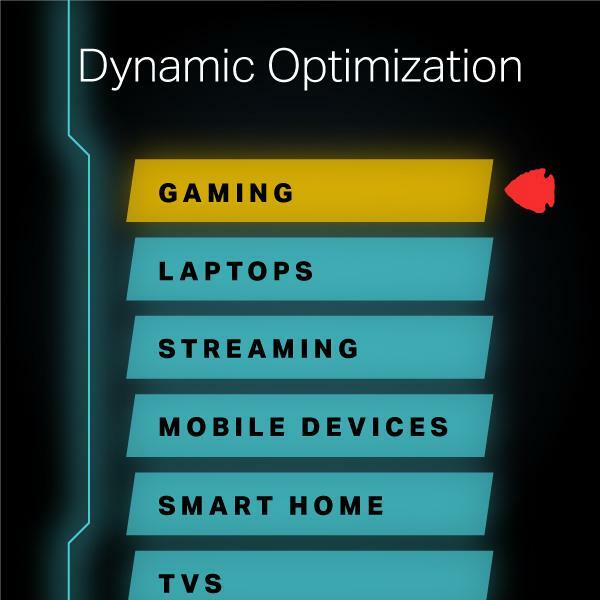 When you aren’t gaming, fast-track streaming to watch immersive 4K movies with stunning clarity. 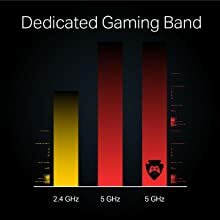 Dedicate one band to gaming traffic while the remaining two deliver high-speed Wi-Fi to the rest of your home, or enable Smart Connect and have the router zero in on the best Wi-Fi band for every device, intelligently driving them to peak performance. 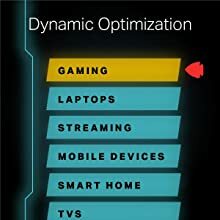 The gaming router harnesses MU-MIMO and Airtime Fairness to understand your Wi-Fi needs and serve every connection with speed and precision, maximizing total throughput and response rates. 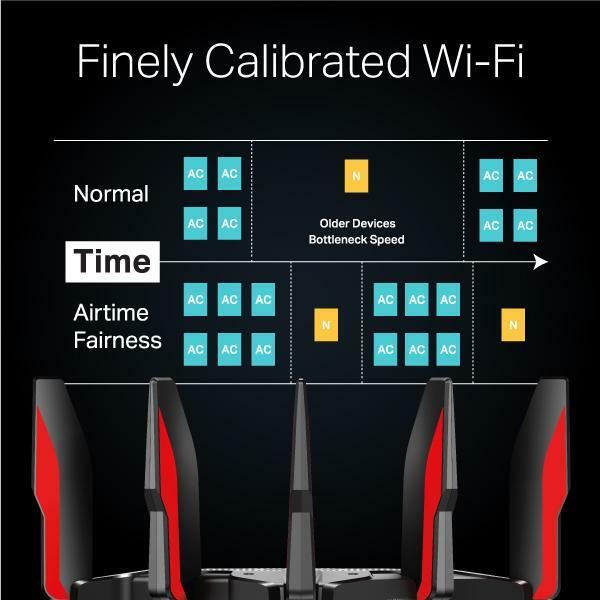 Calibrated metrics and sophisticated algorithms determine how the router divides air time and distributes dedicated Wi-Fi streams to each device, leaving you to focus on taking down the opposition instead of fighting your allies for bandwidth. 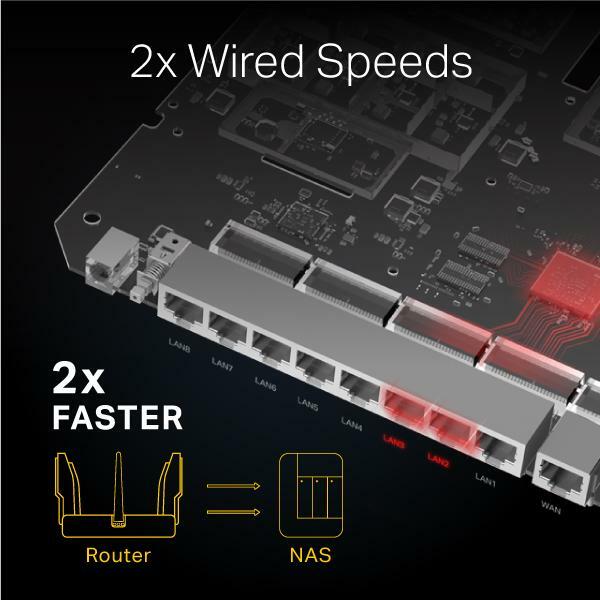 The Archer C5400X offers twice as many Gigabit Ethernet ports as most other routers. 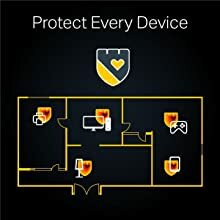 Plug your PCs, smart TVs and game consoles into one of the eight Gigabit Ethernet ports for fast and reliable wired connections without needing a separate switch. Public Wi-Fi can be dangerous. 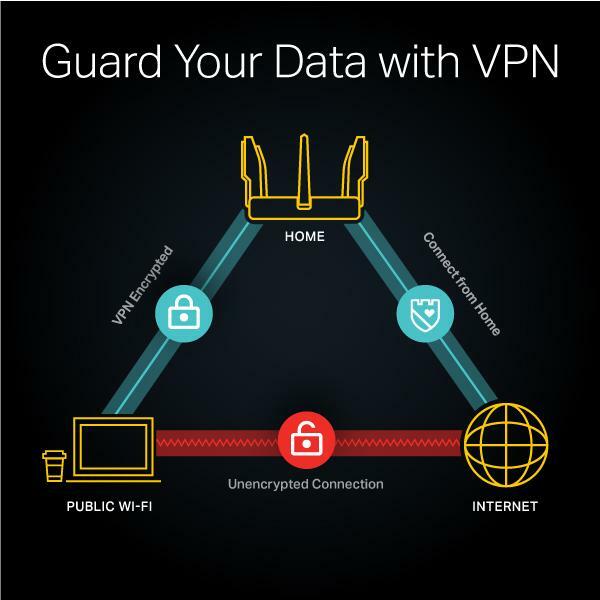 Protect your data by accessing the internet through the router’s built-in VPN server, which creates an encrypted VPN connection back to your home whenever you are using public Wi-Fi. 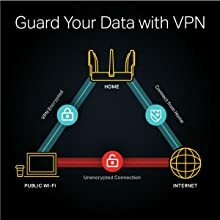 Stay safe while browsing the web and downloading files on public Wi-Fi as VPN Acceleration speeds up OpenVPN connections to your router at home. Our world class R&D team, streamlined vertical manufacturing and strict quality control have enabled us to consistently create exceptional high quality products for the last 22 years.